Ethan Allen: His Life and Times | What Would The Founders Think? Willard Sterne Randall's new biography, Ethan Allen: His Life and Times, is fascinating not only for the connections that the author brings forward, the background information on the effect of various religious movements, the insights into the Revolution itself, but most of all for telling the story of a most interesting American icon. Willard Sterne Randall’s new biography of Ethan Allen is, like many biographies, equally devoted to the man and to explaining the circumstances in which he lived. In doing so, Randall is able to piece together a comprehensive story of Allen’s life. Ethan Allen deserves the title of Founding Father of Vermont, and arguably Founding Father of The United States. A huge portion of the book is dedicated to the struggle between New York and New Hampshire for control over what is now Vermont. Corrupt modern day politicians involved in the Fannie and Freddie Mac fiasco have nothing on the governors and judiciary of colonial New York and New Hampshire. Both New Hampshire and New York laid claim to vast tracts of land and sold grants to speculators, who in turn resold to farmers who settled and improved the land. Problems arose from the fact that New York and New Hampshire were granting and selling the same land. Those who had purchased the rights to their property in good faith were told that they would be required to purchase the land again from New York to validate their claims. In some cases they faced eviction. Not surprisingly, they resisted. Randall details this resistance, first in the courts and through efforts to petition the king. Unbeknownst to the settlers, their “friend” the avaricious Governor Wentworth of New Hampshire and his uncle were the original source of the disputed grants, and were playing both sides against the middle. Wentworth was not passing their petitions on to the king, and what’s more, not even arguing for them. Wentworth’s duplicity was not discovered for some time, and even then only because of the lack of results for his supposed efforts on their behalf. Failing legal recourse, residents of the Hampshire Grants formed what became known as The Green Mountain Boys, a quasi-military force which ran off surveyors and sheriffs sent from New York. The author effectively shows how disaffected the colonists in this part of the country became with Great Britain, and how New York and Tory sympathy became synonymous in the minds of many. The detailed back story of the dispute between those living on the Hampshire Grants, or the The Grants as they became known, and the states of New York and New Hampshire, provides insights into some of the Federalist Papers which touch upon such disputes. During the Revolutionary War, the Green Mountain Boys precipitously took Fort Ticonderoga in company with Benedict Arnold. Many members of the Continental Congress were aghast, and initially sought to distance themselves from the impetuous Allen. However, British actions elsewhere soon pushed the Congress off the fence. It was the guns and ammunition seized at Fort Ticonderoga that Henry Knox so famously transported to the heights overlooking Boston, forcing the British to abandon the city in the face of their threat. Later in the war, Allen was captured during another poorly coordinated attack in Canada. He was held prisoner in a variety of unsavory locations, such as the holds of ships and in veritable dungeons. He was then transported to England, after he narrowly missed being rescued by his erstwhile rival, Benedict Arnold (both men vied for the glory associated with the taking of Fort Ticonderoga). Moving him across the Atlantic didn’t work out so well for the British authorities as he became something of a folk hero while incarcerated there. His presence caused so much disruption that the British sent him back across the Atlantic to Halifax, and finally New York. Public opinion precluded their planned execution of Allen, as a traitor. Allen’s celebrity did much to draw attention to the atrocities committed by the British against American prisoners. 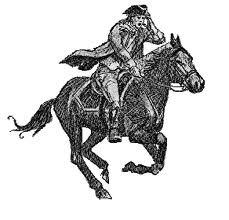 The British were not eager to grant the rights accorded to officers to those serving in Continental Army. Their position was that these people were rebels and therefore guilty of treason. To treat them as officers of a foreign state, was to implicitly acknowledge the legitimacy of the American government. In a moral victory, albeit one with a very heavy price, Allen was exchanged for Lieutenant Colonel Archibald Campbell, who was also a member of Parliament. Allen later chronicled his 32 month ordeal in a book about his experiences. According to his estimates, at least 10,000 American prisoners died at the hands of their British jailers, many of these in the infamous prison hulks like the Jersey. As it turns out, Allen’s estimates were, if anything, too conservative. After recovering his health, Allen rejoined the war effort, but played a masterful game of brinksmanship with the British and the Continental Congress, holding out the threat of joining the British as a bargaining chip for Vermont’s acceptance into the Union by the Congress. In so doing, he stopped repeated British attacks on the citizens of Vermont. The British were partially convinced that there was a likelihood of Vermont’s switching sides and ceased their invasions so as not to antagonize a potential future ally. In fact, Allen had no such intention, but was trying to overcome resistance by New York to Vermont statehood. New York did not want to relinquish its claims on the territory. Allen effectively played both sides off against each other to benefit Vermont. This reader thought it not terribly dissimilar to the game played by Spain’s Franco, during WWII. In addition to chronicling Allen’s role during the Revolution, his land speculation, early failed business dealings, and imprisonment ordeal, Randall also delves into religious tensions and divisions in New England. At the beginning of the book he even provides background on Anne Hutchinson and George Whitfield and discusses the impact of the Great Awakening and New Lights movement on Allen and his family. Throughout his life, Allen intentionally provoked the established clergy and was “read out” of several communities. Being “read out” meant that one was no longer welcome to live in a community. Allen held fast to his brand of deism and after the Revolutionary War, wrote a philosophical treatise in exposition of it. This work predated (by ten years) and may have influenced Thomas Paine’s The Rights of Man. He published it at great personal expense, but most of the bound copies were “accidentally” burned in a fire. Randall’s Ethan Allen: His Life and Times, is fascinating not only for the connections that the author brings forward, the background information on the effect of various religious movements, the insights into the Revolution itself, but most of all for telling the story of a most interesting American icon. Randall does not fall in love with his subject and describes him fairly, throughout. The book added much to this readers understanding of the man and his time.